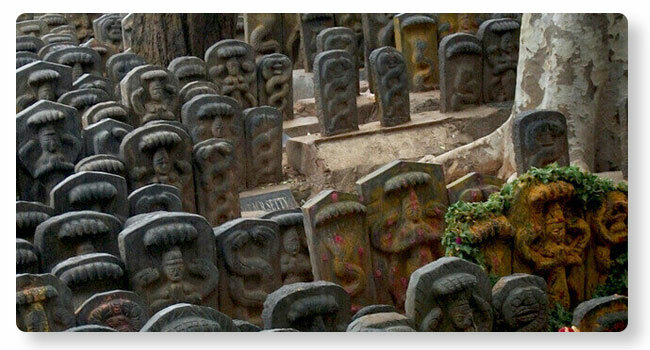 Nagabali or Ashleshabali Puja is performed not to just absolve oneself of the problems due to incidents of serpent deaths or destruction of their abodes, but also to matters related health, issues and marital harmony. Vedic resources, say that killing of serpents either on purpose or by accident or witnessing a serpent die is bad. Hence, to absolve oneself, Nagabali Puja may be performed. Naga Devatas or serpent gods get pleased with the offering of food to them in the form of a symbolic Bali (oblations) through rice. This is performed to secure the grace of Nagas and Adi Shesha. In this seva, the puja is offered to various Naga Devatas and Bali is offered in a Mandala drawn specifically for the purpose. A priest/astrologer should be consulted before conducting the Nagabali Puja.